There is simply nothing else in the world like the perfect juicy, flavorful hamburger slathered in your favorite sauces. It is one of my favorite foods of all time. We all like different fixings but the methods for a perfect patty are pretty standard. Try these easy tips and you will be a master of the burger like never before! Make the Patty With Tools Already In Your Kitchen: Take the lid to a gallon jar or use mason jar ring. Line it with plastic wrap so it overhangs the edges. Place this on a kitchen scale and zero it. Then add the amount of meat you want to use gently press the meat flat. Press an indentation into the middle of the patty. This will help your burger cook out flat. Set the burger / plastic wrap aside and keep using the lid and new wrap until you have the number of burgers you want. Get The Serving Size Right: I use a pound of meat and divide it in quarters (about 4 1/2oz after it is mixed). Hungry man size is two patties. If you are serving a side dish, one patty per person is fine. For smaller children try using about 2 1/4oz of burger to make a patty. Add Salt At The Right Time: Adding salt to the burger mix draws water out of the meat which reduces the tender, juicy flavor. Salt the patties one side and grill salt side down. Just before you flip the burgers salt the other (top) side. We like a seasoning salt such as Johnny’s. You can go uptown if you like and use kosher salt. 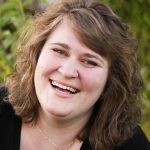 Water Makes ‘Em Moist: I’m seeing a lot of chef burger recipes that suggest adding 2-3 Tablespoons of ice water to every pound of hamburger meat. This literally replaces the water that is cooking out of the meat and helps protect the juicy factor. Give it a try! Start With a Clean Grill: Not rocket science here people. A clean, oiled grill prevents sticking and hamburger destruction. Keep the Grill Lid Open: This prevents smoking the burgers in a bad way and helps them cook evenly (or so the gurus say). Don’t Push It: Thou shalt not press the patties flat with the spatula as they cook. This pushes the yummy juice out of it and your patty will be dry and sad. What About the Cheese? : Use one you love (I’m a Tillamook cheddar and sharp cheddar girl all the way!) and add it about two minutes before the 2nd side is done. Pineapple is King: I know we all love bacon but my favorite burger addition is pineapple and a bit of teriyaki sauce. If you want to impress your burger crew grill a few rings from a fresh or canned pineapple. Just grill both sides until you have grill marks and the fruit is hot through. Plan on 1-2 rings / burger. Drizzle cooked burgers with a sauce such as General Yoshida’s Original Gourmet Sauce. It is knock your socks off, major food coma good! Jonathan is developing a really amazing french fry recipe that we will share at some point. 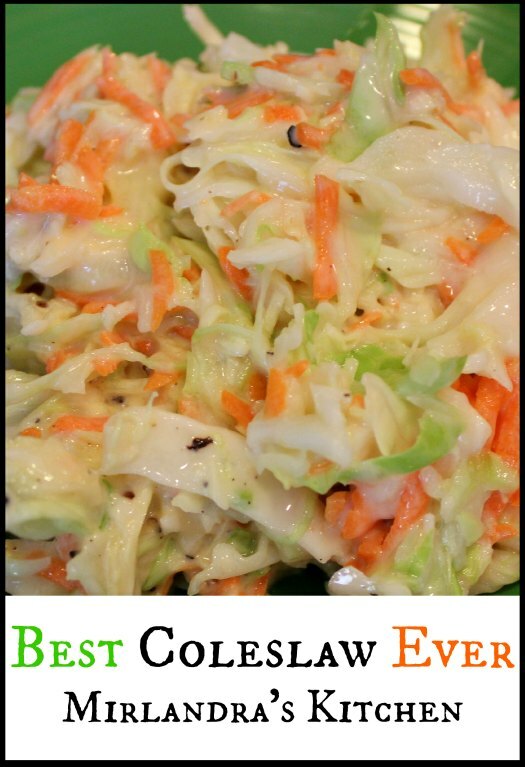 Until then, this coleslaw goes great with burgers. It is the most popular recipe at Mirlandra’s Kitchen. This is the best hamburger recipe for juicy, tender burgers everybody loves. 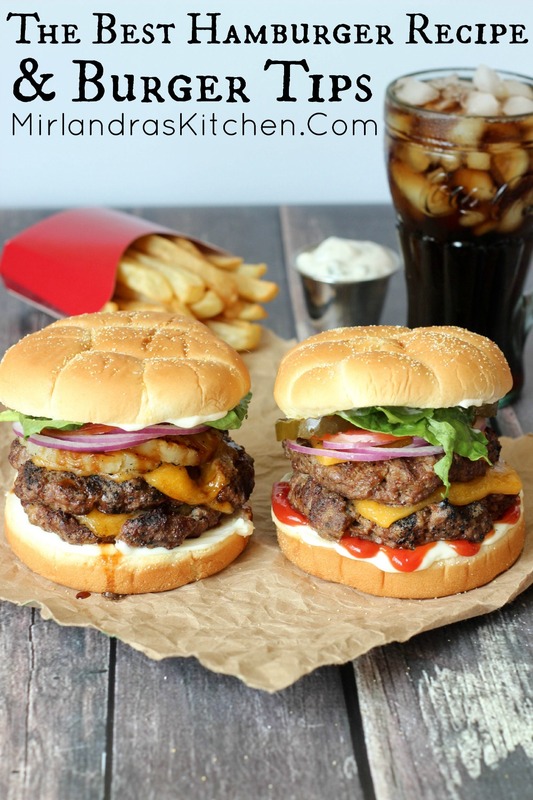 My 9 easy hamburger making and grilling tips will have you making the perfect hamburgers all year. Check out my easy tip for making the perfect patty without tools. You can change this recipe up for pineapple / teriyaki burgers in a flash and they are SO good. Gently combine all ingredients with your fingers just until they are mixed. Over mixing will destroy the tenderness. To form the patties, take the lid to a gallon jar or use mason jar ring. Line it with plastic wrap so it overhangs the edges. Place this on a kitchen scale and zero it. Then add the amount of meat you want to use gently press the meat flat. Press an indentation into the middle of the patty. This will help your burger cook out flat. Set the burger / plastic wrap aside and keep using the lid and new wrap until you have the number of burgers you want. Start with a clean, oiled grill and grill several minutes on the first side before flipping for about two additional minutes. Salt patties as you go with seasoning salt or kosher salt. Add cheese about two minutes before the burgers are done on the second side. Note: All grilling times depend on the heat and even cooking of your grill. These are such great tips – I will definitely try the ice water technique! Your burgers look wonderful!! Thank you! I hope it works great for you. Great tips & love the pineapple burger idea. My mom always put a small ice cube in the middle of her burgers, works great for keeping them moist. Your burgers look amazing! And your tips are so helpful. I knew about the indention in the middle but never thought of you using a gallon jar lid to shape the patties. It makes so much sense! Your burgers look great! Your tips are very helpful. I plan on making these for the 4th of July. Thanks! I’m glad it is useful to you! if you have 2 lb’s of meat, do you exactly double the recipe? Yep! It should work fine. Enjoy! Your techniques worked! I just made the most delicious hamburgers ever! I end up eating the 2nd one without the bun. That’s how tasty and tender it was. thank you so much for sharing with us. God bless you for your talent and heart! Lory, you made my day big time! I’m so happy this helped you make something wonderful. Thank you for your blessings. I’m so touched. Wow, made these tonight and they were absolutely delicious. My 2 year old and 4 year old devoured them, as did I! It may be 6am but now I’m craving one of these burgers! Great tips! Thanks! I can eat a great burger any time of the day or night! If I am cooking them in a skillet on stove, do you still recommend the 2-3 Tbs. of water? Yes. It will still help with the moisture issue. But here’s the question: by 2-3 TBS of water, you mean add it when making the patties or cooking them? Thanks for asking! I add it to the meat when I am mixing it all together, then make the patties and cook! I added chopped onions to the mix. Otherwise just followed your guide. Med-rare (high-grade meat), wow good. Btw: you must be spoiled happy. Thank you. Oh that sounds excellent! I love burgers with some onion mixed in. We are working on a new simple smash burger technique we will be sharing in the next few months. Stay tuned! And yes, I am wonderfuly spoiled 🙂 Life is good! Loved them; very moist. Who knew just adding water would help so much. Also not flattening them. They disappeared too quickly. I know, right! I love discovering a little cooking thing that makes food amazing! Glad you liked these too! Stay tuned – I’m working an an excellent grilled chicken recipe that is really yummy and moist and tender. I made a test batch last night and had about 16 people licking their plates! Thank you for the great tips! I’m intrigued by the ice water idea and definitely planning to give that a try. What are your thoughts on freezing the pattties for future use? I have family coming into town, and I’d like to prepare as many things as possible in advance. Well now I’m curious! I have not done this but I think it might work. Sometimes things separate a bit in freezing but I would think this would work out OK. If you try it please let me know how it goes for you! I’ve made these three times already! They are delicious. I add chopped jalapeños, cheese cubes, and onions to patties. I like to eat my burgers with sauté mushrooms and grilled onions. Thank you for the tips! Oh YUM. That sounds excellent. I loved the jalapenos idea! I should make it that way for my hubby – it would be a runaway hit!